Do you need new tires for your vehicle? Make a pit stop at Johnson City Toyota! When you shop with us, you'll have full access to a complete lineup of OEM tires from a variety of top-grade manufacturers including BFGoodrich, Michelin, Yokohama, Dunlop and Goodyear, along with any current rebates. OEM tires guarantee a perfect fit for your Toyota and help protect your vehicle and your investment. We also provide routine tire maintenance in our state-of-the-art Toyota Service Center. 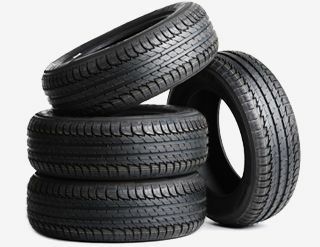 When you need tires in Johnson City, TN, choose Johnson City Toyota Tire Center. It's no secret that maintaining your Toyota is important, but no one wants to spend an arm and a leg doing so. That's why our service and parts managers here at Johnson City Toyota regularly create a lineup of coupons made to help you save on the things that you and your Toyota need most. From oil changes and tire rotations to OEM Toyota parts and more, you'll find exactly what you need at a price that will make you smile. When it comes to servicing your Toyota without breaking the bank, look no further than our Toyota Service Center. We've got you covered for less. *Excludes tax and supply fees.